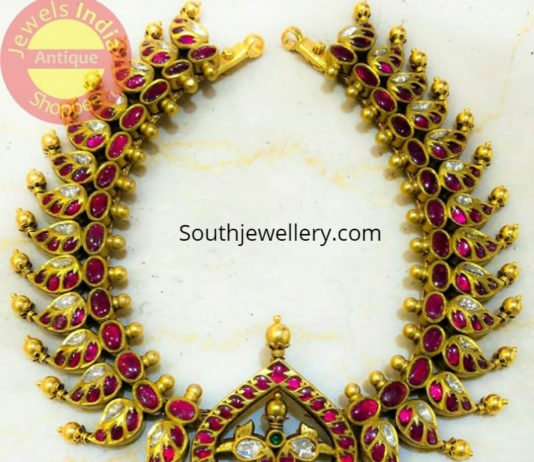 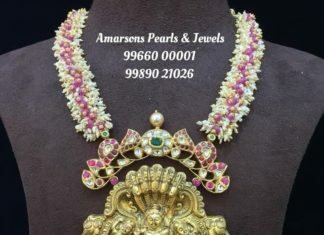 22 carat gold necklace strung with pearls and ruby beads with antique nakshi temple pendant studded with rubies, emeralds and polkis by Amarsons pearls & Jewels. 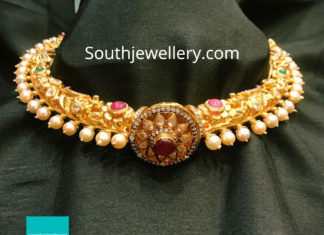 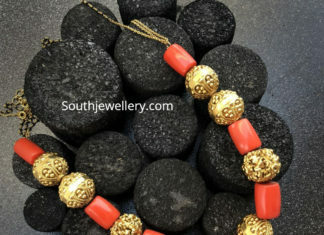 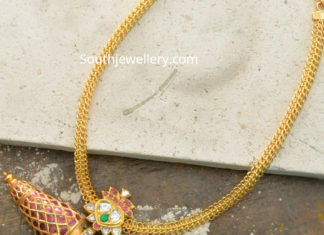 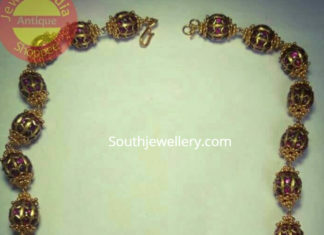 22 Carat gold antique kante nakshi choker studded with rubies, emeralds, diamonds and pearls by kalyani Jewellers. 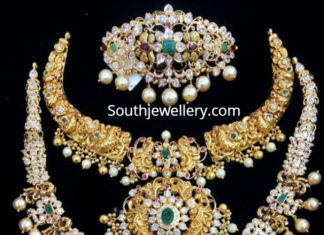 Three line south sea pearl necklace with side pendant studded with polki diamonds and emerald by Amarsons pearls & jewels.